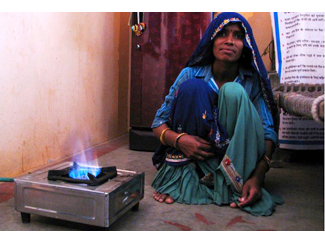 Roshanlaal Meena, 50-year-old, was the first person in Ukrund, in the state of Rajasthan, India, to set up a biogas unit. Like most of the families living in the rural areas of the country, Roshanlaal’s was totally dependent on firewood as its main source of energy. An alarming 77% of the 800 million people living in rural communities in India live in extreme poverty where their economic situation is often linked to environmental degradation. Most of these families use firewood as their main source of energy which claims up to 20% of their income and causes the emission of up to 3.8 million tons of CO2 each year. Collecting firewood is both physically exhausting and time-consuming for women and children, who traditionally are the ones in charge of it. This means less time is left for women to attend other household work or self-fulfillment and children may miss school or even drop it out. So Roshanlaal made a decision that benefited his whole family when he changed firewood for biogas for cooking and lighting up his house. “Not only it saves us much time and effort, but also reduces health related problems in my family”, he explains. 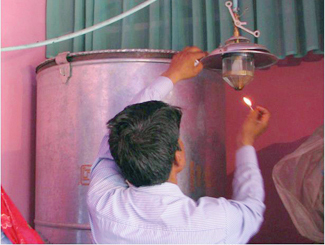 According to the experts, the use of biogas helps prevent millions of premature deaths of women and children in rural households due to indoor air pollution caused by smoke and soot from burning firewood. Rajasthan is one of the states with largest number of heads of cattle in India. And since biogas is an element that can produce clean, safe and efficient energy from cattle waste, there is no better place to promote it. Humana People to People India and UFF Finland implemented in 2010 a project that has provided with 200 biogas units to 20 villages of Rajasthan with the goal of promoting biogas as a major source of energy among the community. A household survey conducted in the area showed that 53% of the beneficiary women and children saved 1-2 hours daily, 44% saved 2-4 hours, 3% saved more than 4 hours and 1% saved 0-1 hours. This has resulted in lower rates of school dropouts as well as better educational standards in the children. 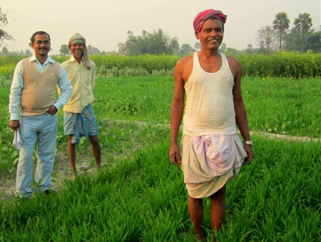 “I now am also saving on vegetable expenses for my family by producing them on my own farm with minimum expenditure. I am very grateful for having been part of this project”, says Roshanlaal. The project has not only improved the community’s living conditions, but also has protected the environment. “The project has significantly reduced the dependency of the respondents on firewood as fuel for meeting their energy needs. The reduced dependency on firewood has also reduced the cutting of trees in the villages. This has led further to the conservation of trees and in preserving the surrounding green cover of the forests. As a result, the overall biomass has increased in the villages”, explain members of Humana People to People India.